CAPCOM kickstarts their Mega Man 30th anniversary unveiling "Mega Man 11"
CAPCOM has announced big plans for its titular gaming hero Mega Man during the Mega Man30th Anniversary albeit. 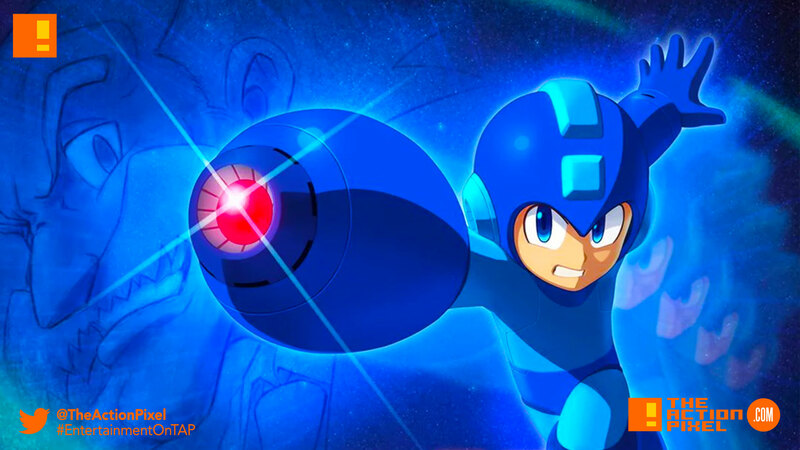 During a Livestream in partnership with Twitch, Capcom, teased Mega Man 11, the next evolution in the long-running 32 million unit-selling action platformer series. Mega Man 11 features tight side-scrolling action gameplay the series is known for while completely revolutionizing the experience for modern consoles. Mega Man 11 will be a great entry for both fans and newcomers to the series to dive into as it retains its signature challenge while offering a variety of difficulty options. The game is coming to Nintendo Switch, PlayStation 4 computer entertainment system, Xbox One, and Windows PC in late 2018. The classic series takes a leap forward in visual presentation in Mega Man 11 with a 2.5D design direction introducing beautiful, completely hand-drawn characters and environments. A freshly redesigned Mega Man takes on Dr. Wily’s berserk machines, defeating Robot Master bosses and taking their weapons, in an ever-evolving fight for justice with new and unique enemy designs. This is just a small taste of information of what’s to come in Mega Man 11 alongside the start of the series’ 30th anniversary year, and fans can look forward to more details on the game in Summer 2018. Check out the new Mega Man 30th anniversary trailer featuring the first-ever gameplay footage of Mega Man 11 below in addition to screenshots and concept art, including a first look at a mysterious new Robot Master. Players can also see the hero’s new look and take note of how he takes on characteristics of defeated Robot Masters when wielding their weapons. The anniversary celebrations don’t stop with the thrilling announcement of Mega Man 11! Throughout 2018, fans and newcomers to the franchise can look forward to revisiting some of the most noteworthy games in the series’ history. Confirmed today, both Mega Man Legacy Collection and Mega Man Legacy Collection 2 are coming to Nintendo Switch in Spring 2018, making all 10 of the numbered series games playable on Nintendo Switch leading up to the release of Mega Man 11 later next year. The first collection, which includes the original six 8-bit games, sees the addition of a new Rewind accessibility option to go back in time following blunders. This feature will also roll out to existing owners of Mega Man Legacy Collection on PlayStation 4 system, Xbox One, and PC. Also confirmed today, all eight games from the futuristic Mega Man X series are coming to Nintendo Switch, PlayStation 4 system, Xbox One, and PC in Summer 2018. The X series introduced features such as powerful armor upgrades and wall-jumping, with more mature themes in this action platforming series. Fans can expect more information on these games in the coming months. Since the initial release of Mega Man on the Nintendo Entertainment System in 1987, the character has become a legendary icon in gaming history. This is an exciting time to be a fan of Capcom’s beloved hero. Fans can stay tuned all throughout 2018 for more news on all the games announced today and other celebratory activities going on during the 30th anniversary year.